But when they added Benoît Delbecq the music became something else again. François Houle explains: “As Benoît and I were looking at opportunities for the duo [established in 1996], Ken Pickering [Vancouver jazz festival artistic director] suggested we merge this with the trio collective [formed in 2014, though its members have been performing in different Grdina groups since around 2004]. Knowing how Benoît’s playing fits into so many different configurations, I thought this would work nicely. I suggested he bring his bass station to augment the lower end of the quartet.” Two performances at the 2015 festival led to a return engagement in 2016 followed by a day in the studio. “The whole session unfolded quite spontaneously, with hardly any discussion between takes. Gord suggested we play my piece ‘Soro’ as he knew Benoît’s affinity for African rhythms in his piano approach. Benoît brought out “Broken World”, written shortly after the terrorist attack at the Bataclan in Paris. We tried it and found it to be a beautiful, haunting piece. 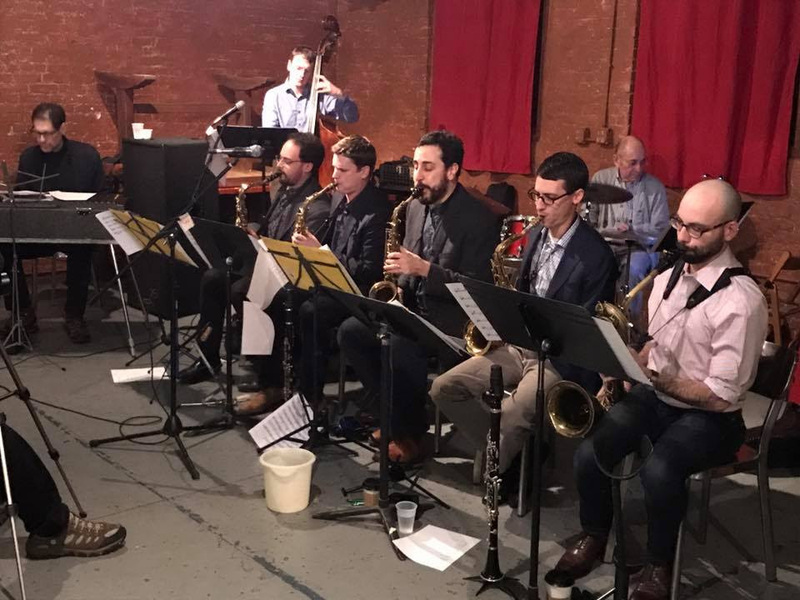 The rest was completely improvised, and took us into the most unexpected musical spaces, with generous room for all to participate in the music making.” The longest take (not on the record) went on for 31 minutes! “Waraba” ends the record on a hopeful and almost joyous or at least somewhat peaceful note, but the music has moved though many other spaces to get there. The aesthetic is liminal: music that’s on the verge of becoming something else, crossing boundaries that are undefined and intuitive. This applies to the subtle way instruments and instrumental lines merge and separate, the range of harmony/atonality, rhythmic and energetic aspects (from near-stasis to turbulence), different emotional resonances – and finally the way the music engages the listener’s attention in a play of foreground/background, active listening and trance-like immersion. More information on Grdina-Houle-Lowen can be found here. Benoit Delbecq's website is delbecq.net. 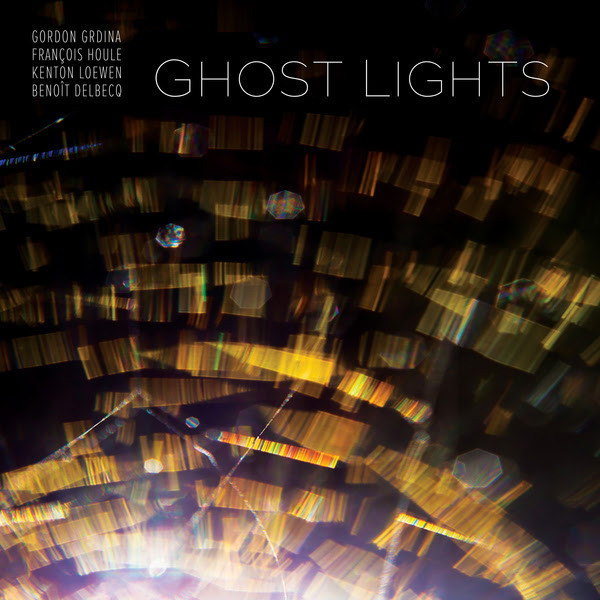 Read an interview with Houle and Delbecq about Ghost Lights on Songlines website. 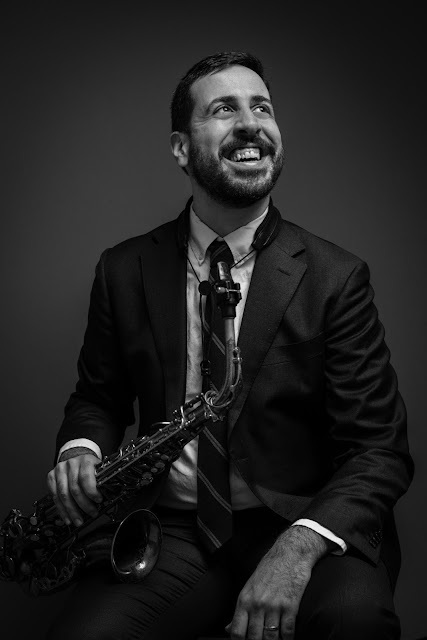 Jon De Lucia Group, Brooklyn CD Release Concert Tomorrow at the Drawing Room! Hello, this is a gentle reminder that we will be at the Drawing Room tomorrow night for our Brooklyn CD Release concert. Come celebrate the release of my new record and also my book which will both be available at the concert for discounted rates. You can still buy tickets on eventbrite and rsvp to the Facebook event below, otherwise you can pay at the door. Wine and snacks available. Hope to see you there! You can pick up a CD at the show, at my new online store, www.jondelucia.com/shop, or on iTunes, here. You can see the Facebook event here, Eventbrite event here, where for $15 dollars you can purchase an advance ticket. 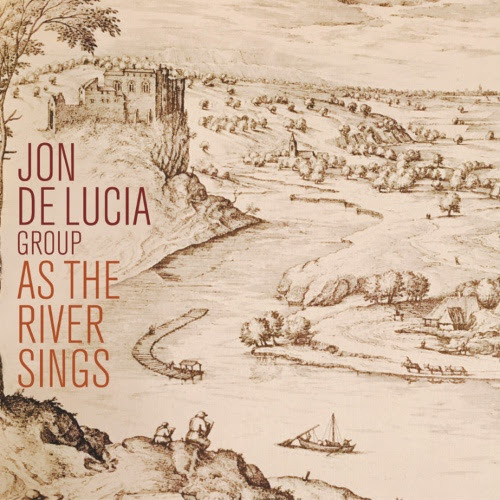 First, the new Jon De Lucia Group CD, first in 10 years, is out this month on Fresh Sound New Talent. The band includes longtime collaborators Greg Ruggiero, Chris Tordini and Tommy Crane and features all original compositions of mine. You can pick up a CD at my new online store, www.jondelucia.com/shop, or on iTunes, here. This band, minus Chris Tordini, will be performing at the Drawing Room on Saturday, May 13th at 8pm, in downtown Brooklyn. You can see the Facebook event here. I will be posting tickets for sale through Eventbrite shortly to the event page. My new book will come out on May 25th, and is available for pre-order now! 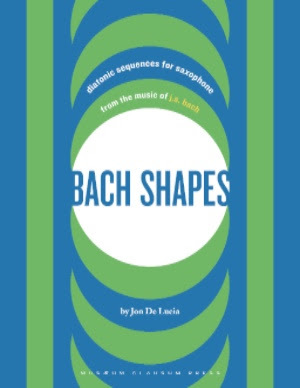 I am very excited about this project, a book for diatonic scale patterns taken from Bach's solo works. It is a great work out for all instruments, and a wealth of material relatable to improvisation. I recently wrote a short article about the book for The Best Saxophone Website Ever. To celebrate the release of the book, the Octet will be performing some fugue inspired material on May 29th at Sir D's Lounge in Brooklyn. See the event page here. Michael Steinman has been kind enough to record this group several times, here is a clip from our last show at Greenwich House Music. If you haven't done so already, please do like my musician page on Facebook. I will regularly be posting updates there. 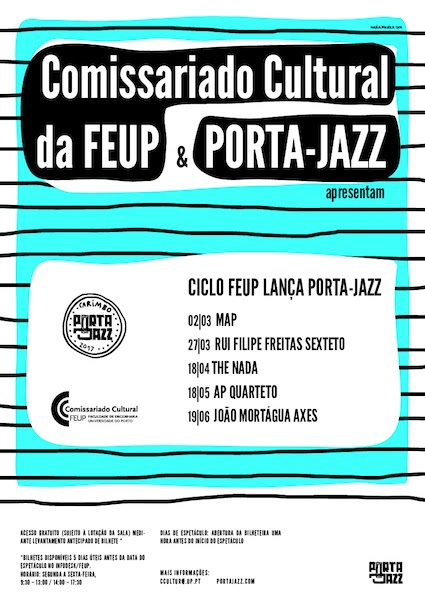 AP é um valor seguro no jazz nacional. Licenciado pela ESMAE em guitarra jazz e com um mestrado em Composição, escreve música com uma forte componente rítmica, por forma a criar contrastes sólidos entre os seus arranjos e os momentos de improvisação. 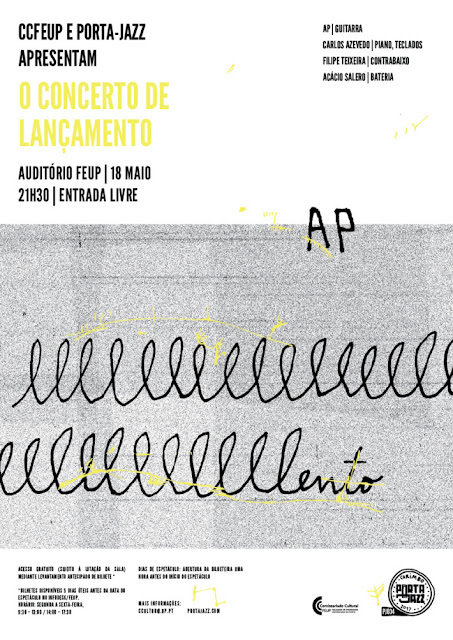 Para este registo, a apresentar neste concerto de lançamento, AP destaca o contributo individual de cada um dos músicos que o acompanham, e visto que já editou 6e5 (TOAP, 2012) com o seu quinteto e Mergulho (Carimbo Porta-Jazz, 2014) com o large ensemble Coreto, propõe agora uma nova abordagem em quarteto. Este é o 34º disco com Carimbo Porta-Jazz. 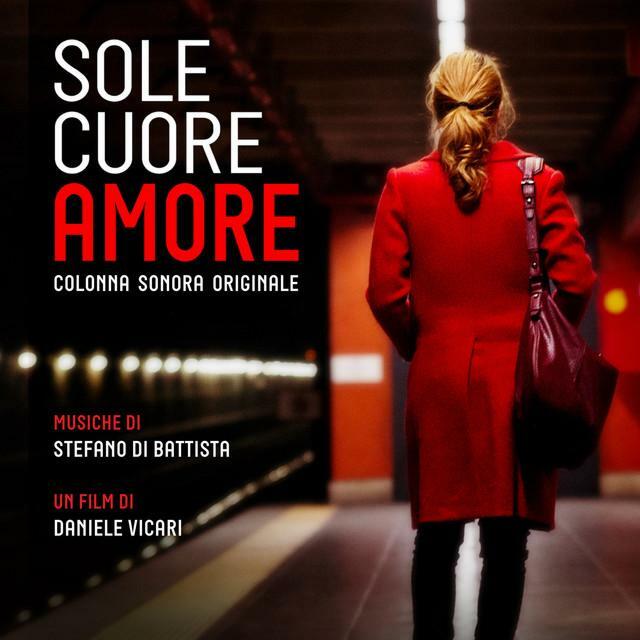 Here you can freely listen to preview tracks from Sole cuore amore Original motion picture soundtrack. Album was composed by Stefano di Battista / Valerio C. Faggioni and was released on May 4, 2017. Soundtrack consists of 14 tracks tracks with duration over about 45 minutes. Album was released by Creazioni Artistiche Musicali C.A.M. S.r.l. * Daniel Herskedal performed The Roc at Kings Place in April. Missed it? Watch it here! * Elliot Galvin, Aki Rissanen and Verneri Pohjola all performed at jazzahead 2017! * NEW RELEASES: Misha Mullov-Abbado and Verneri Pohjola albums are imminent!